While much of the country struggles to emerge from a recession, California’s Silicon Valley is booming, and technology companies like Facebook, Skype, and Apple are seeing their valuations soar. CNN anchor and special correspondent Soledad O’Brien reports that the ownership of this digital bloom is mostly young, white, and male. For her fourth Black in America documentary, O’Brien asks why, according to industry analyst CB Insights, less than one percent of all venture capital money went to digital startups with African-American founders in 2010 – and she profiles a unique, technology-focused “accelerator” developed to help African-American digital entrepreneurs secure funding to establish their businesses. 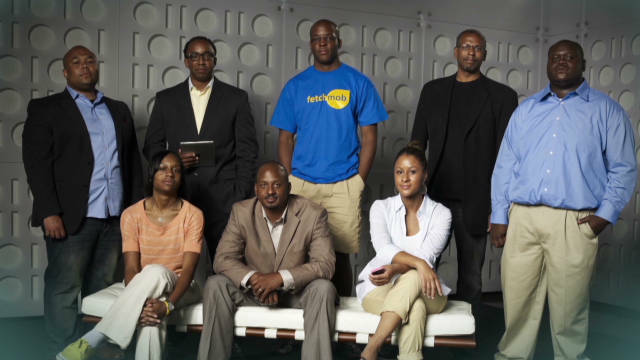 Black in America: The New Promised Land – Silicon Valley will debut on Sunday, Nov. 13 at 8:00p.m. ET & PT and replay on Nov. 13 at 11:00p.m. ET & PT. It will also replay on Saturday, Nov. 19 at 8:00p.m. and 11:00p.m. ET & PT on CNN/U.S. The NewMe accelerator program, founded by friends Angela Benton and Wayne Sutton, is a collaborative of African-American start-up founders with Internet-based businesses – the first such business accelerator of its kind. NewMe’s ultimate mission is to diversify the technology industry by accelerating the participants’ business ventures. Participants seek venture capital investment and are mentored by prominent people from within the industry. Hank Williams (Kloud.co) of New York, NY, a 46-year-old, Ivy League drop-out who founded a $40 million dollar music-sharing platform, Clickradio, as well as other Internet companies. Sahil Lavingia, the founder of Gumroad, a startup payments company. 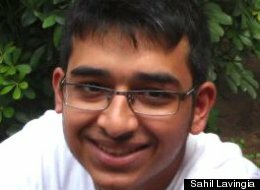 (By Sarah McBride – Reuters) – Gumroad, a start-up payments company run by 19-year-old entrepreneur Sahil Lavingia, has raised $7 million in a funding round led by Kleiner Perkins Caufield & Byers, Lavingia said in a blog post. Lavingia represents the increasingly youthful face of Silicon Valley, where entrepreneurs in the consumer-Internet sector are quickly building companies with relatively little experience. Last month, twenty-somethings Kevin Systrom and Mike Krieger sold their photo-sharing company Instagram to social-network Facebook for $1 billion. His company is taking on others such as eBay’s PayPal in trying to make it easy for small-scale entrepreneurs to earn money. Gumroad’s twist is in using link-based payments, requiring fewer steps for the consumer. The funding round marks the first investment for Mike Abbott since he joined Kleiner late last year. Previously, Abbott ran engineering at Google and briefly worked as an entrepreneur-in-residence at Benchmark Capital. Lavingia dropped out of the University of Southern California to work for Pinterest, the online bulletin-board company that has attracted more than 19 million users and raised $37.5 million in funding from firms such as Andreessen Horowitz. He founded Gumroad late last year.